I do not understand why one would this a one star rating! This anime is a tear jerking, mind blowing, side splitting series! It’s so good I was on the edge of my seat! I was very upset when this ended. I was hoping for a spin off of Naruhina but there you go!! Ive seen many reviews about the fillers, well if you think about it they do it for profit because if they did not do so much filler episodes they would come out with low income and you can just skip the fillers like I did so it isn't something to worry if you are reading the reviews before watching the actual anime. All fillers aside this was an amazing anime series to start with. 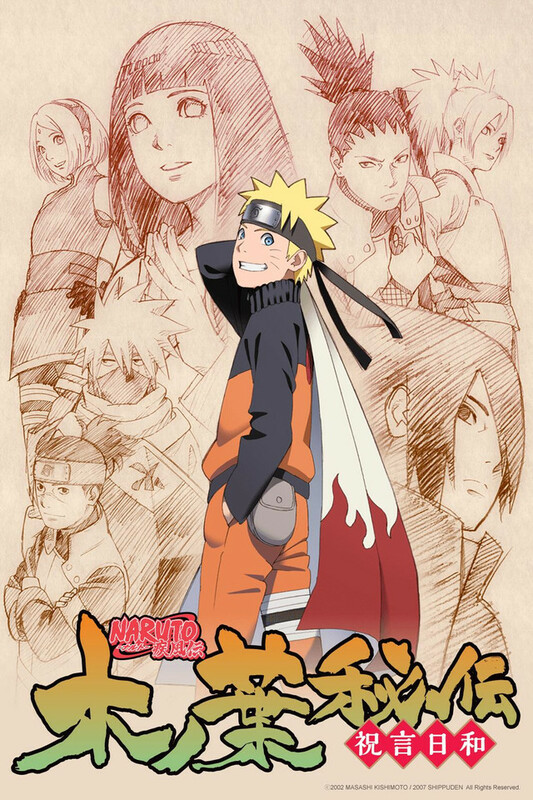 Naruto and Naruto Shippuden told a beautiful story which brought me to tears at times. Seeing the characters grow was always interesting and entertaining to watch. Along with amazing battles this anime does not disappoint. Naruto's saga is the greatest epic ever told. Like in Naruto, the filler can be a bit much, but the plot of this anime is just incredible. To see Naruto and his friends improve by leaps and bounds and not be inspired by their will of fire is an impossibility. Like most people have said, the filler is bad. It kind of turns into a power level anime towards the end. The female characters and romance are non existent, besides Hinata. However this show is one heck of a journey. I genuinely feel attached to a lot of the characters in this anime, and there are a couple of fights that legitimately gave me goosebumps. There are plot holes sure. However the show makes up for it. The sound track that goes along to it is absolute perfection. I still listen to some remixes of the songs in this anime. This is so worth the watch time. I haven't finished Shippuden yet, but wow. Listen, I get it, Naruto is notorious for filler. However, a quick google search for "Naruto Shippuden Filler Lists" will tell you exactly which episodes to skip. This anime, when watching the canon episodes, is absolutely fantastic. I just finished the Pain Arc and I am truly astonished by how much I have grown to like this show since the beginning. Great characters, great storytelling, and amazing protagonist. I have no complaints since you can just skip the filler you don't want to watch. I definitely recommend.